Saffron's two sisters, Cadmium and Rose, and her brother Indigo were all named from a color chart by their mother Eve, a fine-arts painter. When Saffron, known as Saffy, discovers that her name is not on the chart, it soon leads to another discovery. She has been adopted. Life in the Banana House, as their home is called, is never dull. Caddy, the eldest, is taking driving lessons from an instructor who happens to be a very attractive young man. Indigo dreams up ways, sometimes quite dangerous, to conquer fear. Rose, the youngest, has learned how to get her own way without upsetting the other. As for Saffy, all she remembers from when she was very small is a stone angel in a garden in Italy. 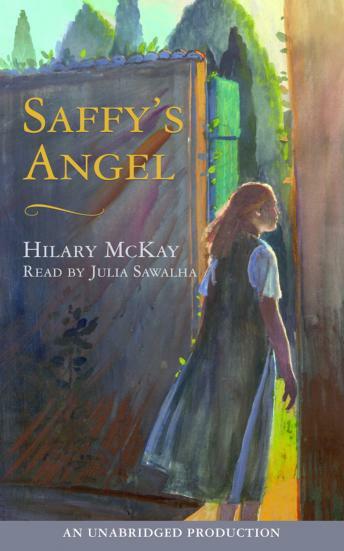 With the help of a newfound friend, Saffy sets out on an adventurous and sometimes hilarious search for her angel.